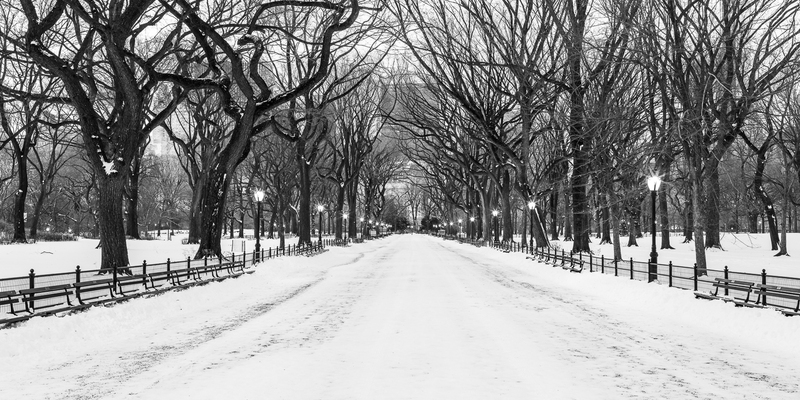 Fresh snow at Central Park kicks off the beginning of a new year on this cold January morning. Walking the park in the quite hours of the early winter morning brings one out of the city and into another world. Photo © copyright by Lance B. Carter.